When you no longer want to stay married and plan to file for divorce in Connecticut, you likely have questions about how to start the process and continue through the divorce proceedings. Get answers to some common questions and learn how to proceed with filing your divorce case. How Do I File For Divorce in Connecticut? The first points to consider are whether you meet residency requirements and if the divorce is an amicable decision or whether your spouse intends to contest the divorce. It is also important to note that you do not have to state specific grounds for divorce in Connecticut. This is typically referred to as a “No fault divorce,” in the event, “The marriage has broken down irretrievably” or if you and your spouse have lived apart for at least 18 months prior to filing for divorce. If there are grounds for dissolution of the marriage, the court does take matters such as adultery or abandonment into account when making decisions regarding division of property and certain other aspects of your specific case. Filing for divorce in Connecticut requires that you file for divorce in the county where you reside. You must follow guidelines for filing for dissolution of your marriage and properly complete and submit all forms required. The Connecticut Judicial Branch Law Libraries provides information about filing for divorce with and without children born to the marriage. How Can I Stop My Spouse From Taking Everything After I File For Divorce? 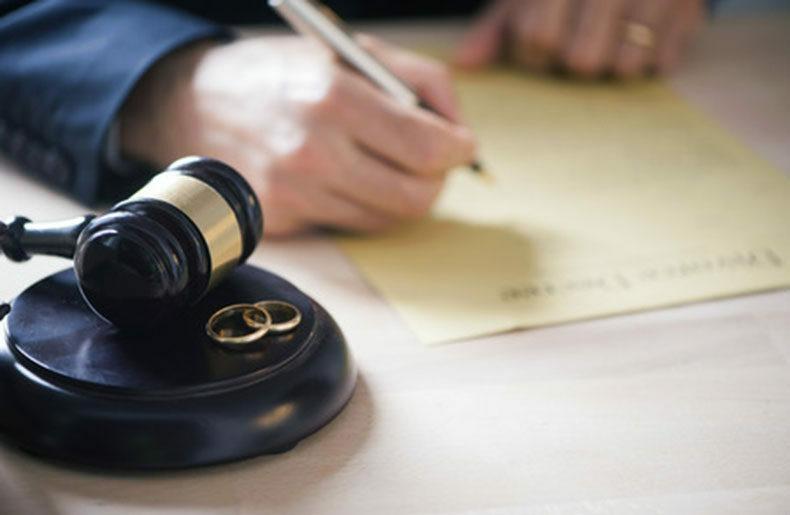 Once you file for dissolution of your marriage in Connecticut, your spouse cannot take everything and disappear because once you file for divorce, the court issues an order that prohibits either party from taking any action regarding property without consent of both parties. The parties cannot remove, conceal, sell, transfer or dispose of any property, whether individually or jointly held property. The court makes decisions regarding awarding property to the parties, taking into consideration factors such as length of the marriage, earning capacity of each party, current income, age and health of the parties, liabilities, and reasons for the divorce and other potential factors. Can I Hire A Divorce Attorney In CT To Help Me? Filing for divorce is understandably overwhelming for many individuals. Some people likely feel they need legal assistance and guidance to ensure proper completion of required forms, address issues such as spousal support, child custody, child support, division of property and other related matters. Trust in a divorce lawyer in CT who has expertise and experience handling divorce cases in Connecticut. Alleviate the confusion and feeling of being overwhelmed. Gain an advocate that works for you, the client, when you contact a results-oriented divorce attorney in CT to assist you with your dissolution of marriage case.